Premiering tonight, the Science Channel introduces Surviving Zombies, their field guide for making it through the apocalypse. 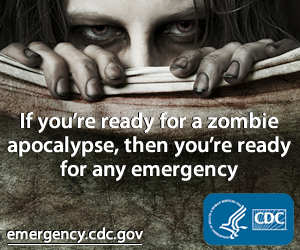 "If you can survive the Zombie Apocalypse, you can survive anything!" And we get two episodes tonight, the first at 10pm ET and the second at 10:30pm ET.